The wild plot lines and characters of Carl Hiaasen's novels will be the next subject of Indiana State University Speaker Series on March 19. Hiaasen, a columnist for the Miami Herald and crime/satirical fiction novelist, is widely known for his razor-sharp crime novels and satirical fiction that revolves around the themes of environmentalism and political corruption. A native of Florida, he began his writing career with the Miami Herald and continues to write weekly for their opinion and editorial section. He began writing novels with a friend in the 1980s that borrowed from both of their reporting experiences and were classified as mystery thrillers. Since then, Hiaasen's novels have developed into satirical crime novels with pointed and humorous commentary. His current best-sellers include: "Strip Tease", "Stormy Weather", "Lucky You", "Sick Puppy", "Basket Case", "Skinny Dip", "Nature Girl" and "Bad Monkey". Hiaasen will discuss the hilarious stories and outrageous characters in his best-selling books. 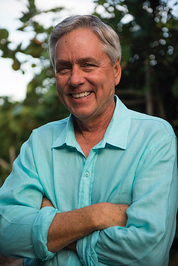 Hiaasen will speak at 7 p.m. March 19 in Tilson Auditorium. His presentation will be free and open to the public. A selection of his books will be available for purchase at the event, with a signing and meet and greet to follow. For more information, call 1-877-ISU-TIXS or go online to www.hulmancenter.org. Miami Herald columnist and crime/satirical fiction novelist Carl Hiassen will present at 7 p.m. March 19 in Tilson Auditorium.